Roger Kalia: Our opening concert of the season highlights dance and rhythm with three unique and varied works, two of which are by living American composers. Beethoven’s magnificent Symphony No. 7, which Richard Wagner deemed “the apotheosis of the dance,” is one of the warhorses of the standard repertoire. We will also perform the West Coast Premiere of Sheridan Seyfried’s Concerto for Two Violins and Orchestra featuring violinists Sam Fischer and Dennis Kim. The Seyfried is neoromantic in style, and features a bluegrass inspired third movement. Colin Jacobsen and Siamak Aghaei’s Ascending Bird, based on a traditional Persian folk melody, opens the concert. 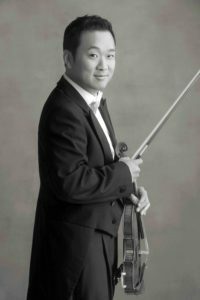 Dennis Kim is the new concertmaster of Pacific Symphony. A citizen of the world, Kim was born in Korea, raised in Canada and educated in the United States. He has spent more than a decade leading orchestras in the United States, Europe and Asia. Most recently, he was concertmaster of the Buffalo Philharmonic Orchestra in New York. He was first appointed concertmaster of the Tucson Symphony Orchestra at the age of 22. He then served as the youngest concertmaster in the history of the Hong Kong Philharmonic Orchestra, before going on to lead the Seoul Philharmonic Orchestra and the Tampere Philharmonic Orchestra in Finland. After making his solo debut at the age of 14 with the Toronto Philharmonic Orchestra, Kim has gone on to perform as a soloist with many of the most important orchestras in China and Korea. Kim plays the 1701 ex-Dushkin Stradivarius, on permanent loan from a generous donor. 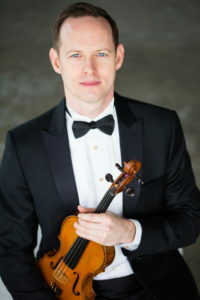 Sam Fischer, violinist, is concertmaster of the Desert Symphony, Opera Santa Barbara, the Redlands Symphony Orchestra, and the Riverside Philharmonic. He has appeared as soloist with orchestras including the Desert Symphony, the Peninsula Symphony, the Redlands Symphony, the Riverside Philharmonic, and the Los Angeles Doctors Symphony. He has performed with the Los Angeles Philharmonic, the Los Angeles Chamber Orchestra, the Los Angeles Opera Orchestra, and the Pacific Symphony, and he has recorded extensively for motion picture and television soundtracks, record albums, and video games. In chamber ensembles, he has collaborated with Anne Akiko-Meyers, Martin Beaver, Lynn Harrell, and Joseph Silverstein. Mr. Fischer holds a Bachelor of Music degree from the University of Southern California and a Masters degree from the Juilliard School. A passionate educator, Mr. Fischer is Artist Professor of Violin at the University of Redlands and is on faculty at the Colburn School of Performing Arts, the Idyllwild Arts Summer Program, and the Montecito International Music Festival. Roger Kalia: This concert consists of works with folk influences from a variety of places. French composer Darius Milhaud’s Le Boeuf sur le toit, based on a ballet about the carnival in Rio, merges Brazilian folk tunes, tangos, and sambas in a unique and witty way. We will also perform two works by Mozart: his Piano Concerto No. 21 featuring rising star pianist Sean Chen, and Symphony No. 31, “Paris.” The concert opens with Faure’s well-known Pavane, which highlights the colors and beauty of the orchestra. 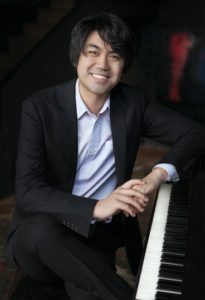 Winner of the 2013 American Pianists Awards and third prize winner at the 2013 Van Cliburn International Piano Competition, American pianist Sean Chen continues to earn accolades for “alluring, colorfully shaded renditions” (New York Times) and “genuinely sensitive” (LA Times) playing. Mr. Chen has performed with prominent orchestras around the country, including the Indianapolis, Fort Worth, and San Diego Symphonies, and played recitals in venues around the world. His CD releases include La Valse, a solo recording on the Steinway label, hailed for “penetrating artistic intellect” (Audiophile Audition); a live recording from the Cliburn Competition released by harmonia mundi, praised for his “ravishing tone and cogently contoured lines” (Gramophone); and an album of Michael Williams’s solo piano works on the Parma label. A graduate of the Yale School of Music and the Juilliard School, Mr. Chen currently lives in Kansas City, where he is the Artist-in-Residence at the University of Missouri, Kansas City, and his wife, Betty, is a violinist in the Kansas City Symphony. When not at the piano, Mr. Chen enjoys tinkering with computers. He is a Steinway Artist. Roger Kalia: Our final concert of the season focuses on the music of two composers of Eastern European descent: Zoltán Kodály and Antonín Dvořák. Kodály’s Dances of Galanta is based on Hungarian folk dances while Dvořák’s Symphony No. 8 has been called his most pastoral symphony through his use of Czech melodies. 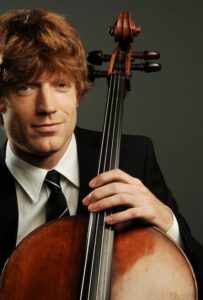 We will also feature cellist Eric Byers in Shostakovich’s haunting and exciting Cello Concerto No. 1. Praised as “ideally eloquent” by the Los Angeles Times, cellist Eric Byers captivates audiences as a soloist, chamber musician, and composer. At 18, he made his solo debut with the Cincinnati Symphony Orchestra. In 2018 he debuted with the Los Angeles Philharmonic in a last minute substitution. His performance of the third movement of B.A. Zimmerman’s Cello Concerto was lauded as “rapturously played” and “utterly convincing” by the Los Angeles Times. His solo repertoire spans J.S. Bach to today’s most innovative composers including Esa-Pekka Salonen, Thomas Adès, Andrew Norman, Caroline Shaw, and Peter Eötvös. Byers’ performance of Adès’ ‘Lieux retrouvés’ with pianist Gloria Cheng was described as ‘magnificent’ and ‘masterful’ (Culture Spot LA). As a founding member of the Calder Quartet, Byers has appeared at Carnegie Hall, Avery Fisher Hall, Wigmore Hall, Royal Stockholm Philharmonic, Salzburg Festival, Edinburgh Festival, Melbourne Festival, Ojai Festival, Kennedy Center, Disney Hall, Mozarteum, Esterházy Palace, and the Sydney Opera House. Winners of the 2014 Avery Fisher Career Grant and the 2009 ASCAP Adventurous Programming Award, the quartet performs the work of today’s emerging and established composers in addition to the core classical repertoire. Other chamber music collaborators have included Joshua Bell, Edgar Meyer, Menahem Pressler, Joseph Kalichstein, and Claude Frank. Byers has also served as guest principal of Pacific Symphony for its Carnegie Hall debut and tour of China in 2018. Byers performs on a cello by Jean-Baptiste Vuillaume made in Paris ca.1855. In his spare time he enjoys rock climbing and spending family time with his wife and two young children.